PAKISTAN -- Days after being arrested in Pakistan on fraud charges, an Afghan woman, known for the iconic National Geographic photo from the 1980s, has been released on bail, the BBC reported. The haunting photo of a green-eyed, Afghan girl named Sharbat Gula, taken in a refugee camp in Pakistan in 1984, was one of National Geographic magazine’s most famous covers. And last week, Gula showed the extremes to which she and many Afghans were still willing to go to to avoid their war-torn homeland when she was arrested, facing a 14-year prison sentence for living in Pakistan on fraudulent identity papers. Gula was taken into custody by Pakistan’s Federal Investigation Agency (FIA) on Wednesday in the northwestern city of Peshawar following a 2-year investigation into her and her husband, officials told AFP. “FIA arrested Sharbat Gula, an Afghan woman, for obtaining a fake ID card,” Shahid Ilyas, an official at the National Database Registration Authority (NADRA), said. Gula’s husband reportedly absconded. The agency was also searching for 3 NADRA officials whom they believed were responsible for issuing Gula with the false papers, Ilyas continued. Gula reportedly applied for a Pakistani ID card in 2014 using the name Sharbat Bibi, and officials said she was among thousands of Afghans who had been able to avoid Pakistan’s computerized system and get false identity papers. On Wednesday, Gula faced 7 to 14 years in prison, as well as a $3,000 to $5,000 fine if convicted. 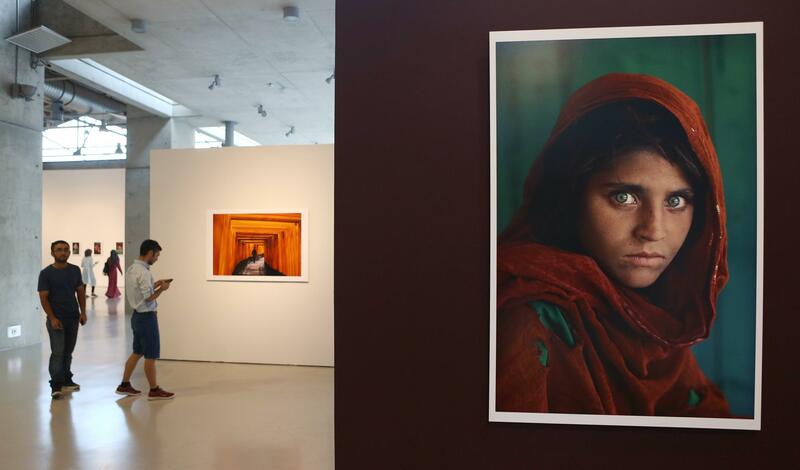 “Sharbat Gula was ready to repatriate to her father’s village in Kot district (Afghanistan) in early summer this year,” a close relative of Gula told CBS News. “But the residents of her native village left … due to Daesh (ISIS),” the relative continued. “Her Pakistan ID was already blocked one year back … She thought the case had been closed. She is a simple, illiterate lady,” he said. For decades, Pakistan provided safe haven to Afghans who fled their country following the 1979 Soviet invasion. The UNHCR said Pakistan was host to 1.4 million registered Afghan refugees, and the agency estimated that there were an additional 1 million unregistered refugees residing there. But Afghan refugees living in Pakistan were becoming increasingly worried about their futures as the country cracked down on fake ID cards and fears grew that a March 2017 deadline for refugees to return to Afghanistan, which had been repeatedly pushed back, might this time be final.